Around 1836 when the Tithe Maps were drawn up, the location that is now known as Benkeyhurst Farm was described as Dicken Bridge which is the point where Burleyhurst Lane crosses Sugar Brook. The tenant was James Norbury and this is confirmed on the 1841 census when there are six properties described as "near Dicken Bridge", one of which is James Norbury, the other five being Joseph Moult, Samuel Egerton, George Clarke, Samuel Moult and John Barrow. Ten years later James Norbury's residence is described as Dicken House, as is Joseph Moult's with Samuel Egerton and Thomas Lowndes listed as "near Dicken House". By 1851 James Norbury (Dicken House), Samuel Egerton and Elizabeth Moult (near Dicken House) haven't changed but Albert Moult and Thomas Lowndes are now described as resident in Barnes Green. 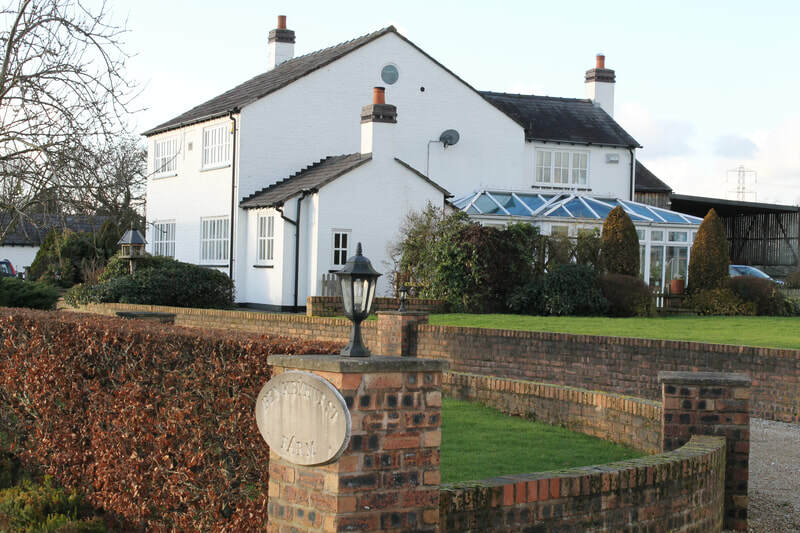 It's quite likely that the properties are the same as ten years before but that Barnes Green (the triangle between Davenport Lane, Burleyhurst Lane and Newton Hall Lane) has become recognized as a locality in preference to Dicken Bridge. James Norbury's last entry is 1871 at Dicken House with John Stanier, Samuel Moult and Luke Lowndes in Barnes Green and by 1881 Barnes Green has four properties listed (Lowndes, Hatton, Burgess and Percival with George Cookson at Dicken Bridge. But after that the number of properties described there reduces. In 1891 and 1901 Henry Royle is farming at Dicken House/Dicken Bridge and it is only in 1911 that Thomas Reade Ford is listed as farming at "Bankeyhurst Farm"